Wuchang Institute of Technology, Wuhan, China. 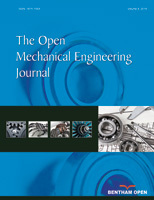 In this paper, the multi blade centrifugal fan parameter CAD/CFD was developed. Before treatment with the traditional design method as the foundation, use AutoCAD as development of the embedded language. The work of this regulation to establish a set of more perfect design and optimization program of axial flow fan in air, improve its economy, and provided a shortcut for energy saving and noise reduction of multi blade centrifugal machine. Also in the establishment and the simplification of complex models, mesh generation, calculation and other aspects of the use of the model to do some beneficial exploration, hoping to provide reference of the similar simulation numerical type. Influence on the performance of multi blade centrifugal fan impeller is the largest parameters such as the blade outlet angle, inlet angle and blade number. As the numerical simulation application in modern design method, in order to improve the performance of pressure air fan as the optimization objective, the optimization of the fan, the fan impeller optimization parameters more reasonable flow field distribution, air pressure with better performance is obtained, and the formula to determine the recommended number of leaves.